Isabel Maitland Stewart was born in 1878 in Fletcher, Ontario. She came with her family, including her brother David Alexander, later Dr. D.A. Stewart, to Morden, Manitoba in 1892. She taught four years in Manitoba public schools before entering the Winnipeg General Hospital School of Nursing. 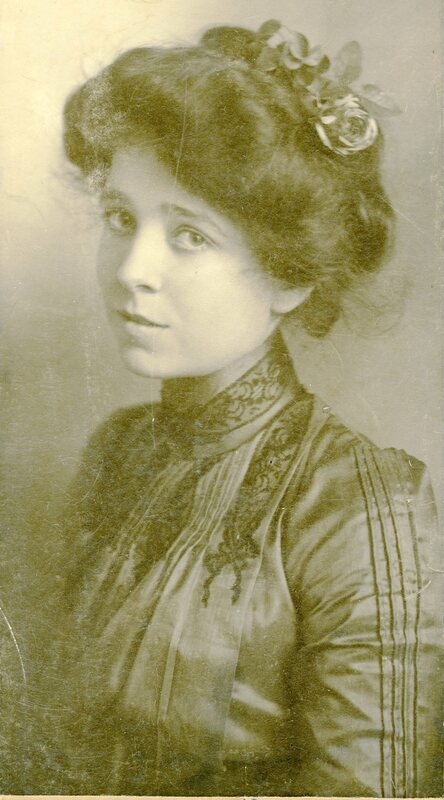 She graduated from the programme in 1902. After graduation, she served as a private nurse and spent one year as ward supervisor in the Winnipeg General Hospital. Isabel was a member of the legislative committee appointed in 1906 by the Manitoba Association of Graduate Nurses. In 1910, she received an Honorary Membership in the Swedish Nursing Association. She received her Bachelor of Science degree from Columbia University in 1911 and her Masters degree in 1913. In 1917 she was appointed assistant professor, in 1923 associate professor and in 1925 professor at Columbia University. She also served as chairman of the educational committee of the National League of Nursing Education from 1925 to 1947. In 1928, she became an Honorary Member of the History of Nursing Society of McGill University. She became a member of Pi Lambda Theta in 1940. In 1945, she was made a Life Member of the Winnipeg General Hospital Nurses Alumnae Association, and in 1946 was awarded a Finland Medal for Humanitarian Work. She retired in 1947, and was presented the Mary Adelaide Nutting Award and medallion from the American Red Cross that same year. A year later, she received an Honorary Doctor of Laws from the Western Reserve University in Cleveland, Ohio for developing the first American programme for Teachers for Schools of Nursing at Columbia University. In 1954, she received an Honorary Doctor of Human Letters degree and a Silver Bicentennial Medallion from Columbia University. She received an honorary doctorate from the University of Manitoba in 1956. She was made an Honorary Life Member of the University of Manitoba Nursing Alumni Association in 1960. Dr. Stewart passed away on May 9, 1964. She was posthumously awarded an Honorary Membership in the Canadian Nurses Association in 1969. The collection documents the life of Isabel Maitland Stewart’s including her education, her training as a nurse, and her career as a nurse and educator. The collection consists of certificates, correspondence, articles, photographs, pins, graduation attire and medals. The collection is arranged into six series which document her life from her early education in Ontario and Manitoba through to her reception of honourary degrees following her retirement. Posthumous events created by acquaintances of Isabel Stewart are also included. Other material pertaining to Isabel Maitland Stewart can be found at the Nursing Archives of the Teachers College Library at Columbia University. Copies are also available at the University of Manitoba Archives and Special Collections within the Margaret Elder Hart fonds. Some reference material and correspondence created after I.M. Stewart’s death are included here as part of her fonds.